Roasted tomato sauce has a concentrated, deep tomato flavor. Fresh plum tomatoes are cut in half, lightly seasoned, and roasted in the oven for less than an hour. The tomatoes come out of the oven slightly caramelized and wrinkled and are wonderful to have on hand in the refrigerator and freezer for simple sauces and stocks over the days and months to come. You can puree them into a sauce right after roasting, or freeze them as is and use them later in the year. You can you this method for roasting any amount of tomatoes. If you are making a large amount, roast them in batches. Too many tomatoes in the oven at the same time will cause them to steam rather than roast and you won't get the caramelization that gives the tomatoes that smoky, concentrated flavor. 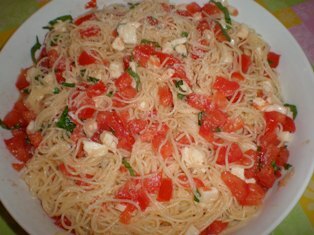 This recipe will yield about 4 cups of sauce, depending on the size and juiciness of your tomatoes. Line one large or two smaller rimmed baking sheets with foil or silpat for easy clean up later. Use a sharp paring knife to core the tomatoes. Cut the tomatoes in half lengthwise. Place the tomato halves on the baking sheets. Drizzle the tomatoes with olive oil and then gently toss them to coat with the oil. Spread them out evenly, cut side up, in one layer on the baking sheet. Roast the tomatoes in the oven for 40 minutes and then check them. They should be a bit shrunken with some toasty dark bits on the edges. If they still seem a bit too juicy and there is no darkening, give them another 10 to 20 minutes in the oven. The time will from vary from one batch of tomatoes to the next, depending on their size, how ripe they are, and how juicy they are. Once roasted, take them out of the oven and allow them to cool on the baking sheet. 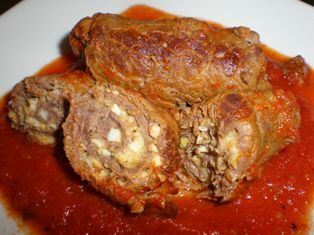 Then simply pass them through a food mill or puree them in a blender to create a sauce. Or freeze them as is for later use. To freeze the sauce, ladle it into freezer containers or resealable plastic freezer bags, leaving about 1-inch head space. There are a few methods that you can use to make the tomatoes into a sauce. A food mill consists of a metal strainer fitted with a hand-cranked paddle that pushes the food through the holes of the strainer. The strainer has retractable legs so it can be placed over a bowl. The pureed food passes through while the skins, seeds, and other hard objects remain behind. A blender or food processor can puree foods but both pulverize the seeds and skins so that they cannot be separated from the puree. 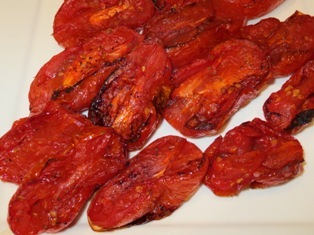 To use a food mill, put the cooled roasted tomatoes into the strainer portion of the mill and place over a bowl. Keep turning the paddle until all of the tomato pulp has been extracted and only the skins and seeds remain in the strainer. 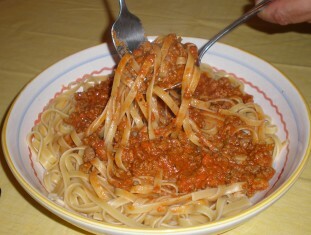 You will have a delicious sauce in your bowl ready to serve with pasta or your favorite recipe. The seeds in tomatoes can be unpleasant, and sometimes bitter; they can interfere with the texture of sauces that you want to be perfectly smooth. If you don't have a food mill, you can cut the tomatoes in half and scrape the seeds out with a spoon before pureeing them in a food processor or blender. If the seeds don't bother you, just leave them in. If you are going to use a blender or food processor, you may want to remove the tomato skins before roasting. To do that, bring a large pot of water to a boil. With a paring knife, cut a shallow “x” in the bottom of each tomato. Blanch them in boiling water for about 30 seconds (just until the skin begins to peel away), then remove with a slotted spoon and place them in a bowl of ice water to cool. Peel the skins off the tomatoes, then core and cut into halves. Proceed with roasting them as described above. I've owned several food mills over the years, and in my opinion, this one is the best. The advantage of a food mill over a food processor or blender is that it separates the skins and seeds from the fruit or vegetable pulp. It is the perfect tool for preparing fresh purees, sauces, and soups. It has a stainless steel inner bowl that is ideal for hot foods and does not stain, and includes 3 stainless steel grinding discs for fine, medium and coarse textures. Use the fine disc for homemade jellies, creamy sauces and baby food, the medium disc for applesauce and vegetable soups, and the coarse disc for mashed potatoes and chunkier sauces. This food mill has a unique release button that makes it easy to exchange discs and disassemble for storage.